Headquartered in Arlington, Texas, Aeon Systems services and monitors thousands of local customers in a variety of residential, commercial, and industrial markets within the Arlington TX area such as Midlothian and Waxahachie. 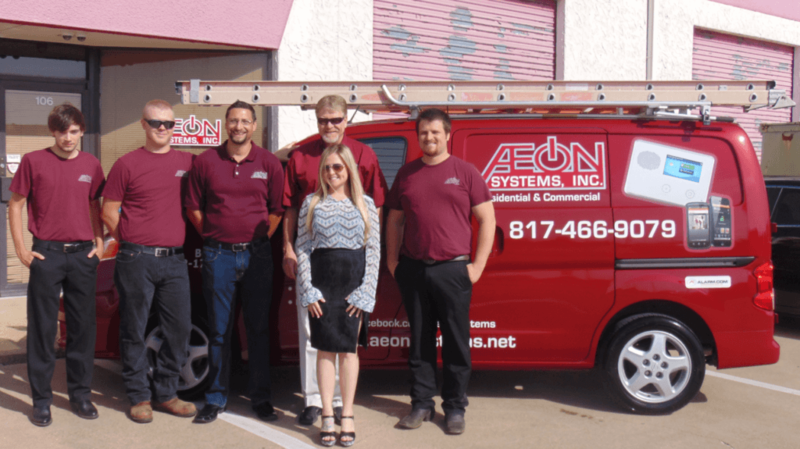 Since its founding in 2004, Aeon Systems remains a family-owned company and has become a local leader in the security alarm field. With more than 35 years of experience in the security industry, Aeon Systems prides ourselves on our exceptional customer service. We have a 24-hour state of the art alarm monitoring facility that quickly checks on your welfare when emergency calls.